How high are realtors' and lawyers' fees in Switzerland? What about other property purchase costs? How difficult is the property purchase process in Switzerland? The Swiss have for a long time restricted the sale of property to foreigners. The Federal government has set an annual quota of permits to be given to those non-resident foreigners seeking to acquire property in Switzerland. These permits are in certain Cantons and, even then, are often restricted to those considered to be tourist resorts. Some Cantons also restrict the size of property that a foreigner can purchase and sometimes the re-sale of property may carry restrictions. Likewise foreign companies (even Swiss ones with more than 30% foreign ownership) are barred from acquiring property in the country. 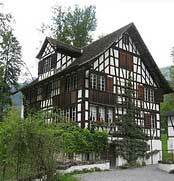 The process of buying property in Switzerland is quite straightforward. To ensure that the purchase contract is accurate and conforms to the law you will need the services of a public notary. The first step in the process is to sign an agreement to buy the property (a Promesse de Vente) drawn up by the notary, and to pay over a deposit, usually 10% of the purchase price. The agreement is conditional on permission for the sale to the foreigner being granted by the Commission FonciÃ¨re. It usually takes about eight weeks to gain permission to buy, b	ut the process can sometimes take up to three months (usually toward the end of the year) especially if the annual quota has been used up. When buying new properties, the purchase price is usually payable in stages, which are specified in the purchase agreement. The purchaser will either need to appear in person before the notary for the document signing or give someone else power of attorney by means of a Procuration drawn up by the notary. A word of caution - in rare situations the Commission FonciÃ¨re may impose conditions on the use of the property. For example, the commission may require the purchaser or his family to use the property for a minimum of three weeks in any year, and may restrict letting to eleven months of the year. Generally though, non-Swiss owners may occupy their property for up to six months of the year, up to three months in any one visit but can let the property for the rest of the year. It takes an average of 12 to 19 days to complete the four procedures needed to register a property in Switzerland. Real estate transfer tax differs in each canton and ranges from 0.2% to 3.3% of property value. Since 01 January 2005, the transfer tax has been abolished in Zurich. Registration fee (0.25% of property value) is paid to the Land Register Authority. Notary fee varies from canton to canton. It is generally around 0.10% of property value. How landlord-friendly is the law in Switzerland?